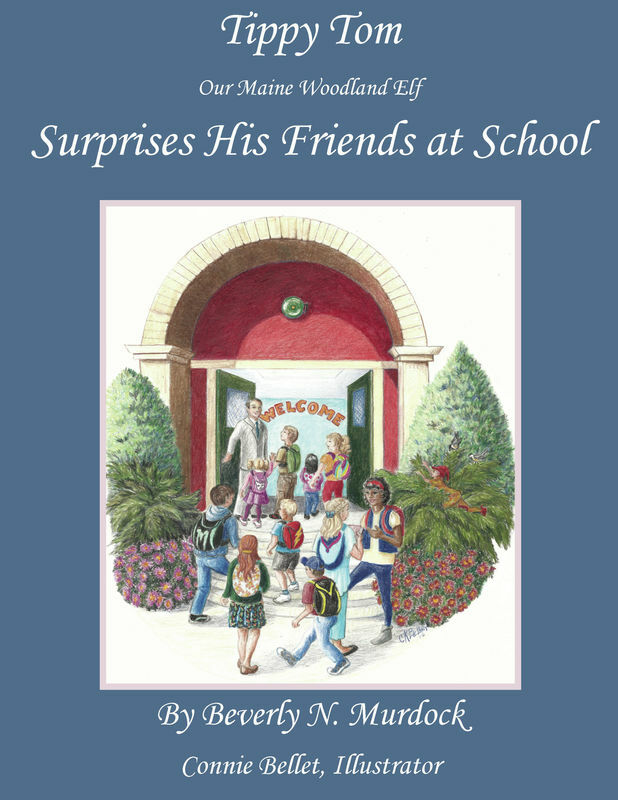 Tippy Tom had never been to a school before. He was curious about the school that all of his human friends talked about. He decided to follow them one day. He was excited and nervous. Tom’s friends showed him how well they could read and learn many important things. He discovered that school is a fun place to learn and where he could tell them all about how he cares for sick and injured animals. Beverly N. Murdock, a mother of four, grandmother of seven, two step-grandchildren and great-grandmother of thirteen, has been a storyteller for more than 60 years. She imagined a little elf named Tippy Tom and made him the star of her stories. These stories have been told and retold to the generations of her children, much to their delight. As a surprise for the family, Beverly decided to write a book for a Christmas present and have it published for a keepsake. Reviews were very good. Tippy Tom is a Maine elf living in the woods around the home where Bev, and her late husband George, raised their family. Beverly has since sold the farm to one of her sons and moved to a smaller home nearby. However, Tom remains in the area and is often imagined by the little ones, and the not-so-little. Thus, the Tales of the Woodland Elf lives on. Connie Bellet is a wildlife artist who draws upon the many personal relationships she has had with all sorts of animals when she was a zoo director. Although her scrimshaw is collected worldwide, she has the most fun with illustrations such as those in this book. Connie and her husband, singer/songwriter Phil White Hawk, spent 25 years touring across the continent with their multimedia performance, “Inspirada Americana.” Now retired, Connie and Phil oversee the Community Center and Garden in Palermo, Maine.